Health has been a passion of mine since the 4th grade. I started gaining weight back then and struggled with obesity all the way through high school. Through self-discipline, reading every book on nutrition at my local library and massive amounts of exercise and dietary experimentation, I managed to lose the weight and get super fit. That doesn’t mean it’s been easy-going since then. Weight creeps back on me if I am not vigilant. No matter how difficult it is, I know that paying attention to my health is the single most important thing I can do. In this post I hope you will take some time to learn about the history of your body, a body that you share in common with me and over 7 billion other humans on this planet. Learn about what makes it tick, and what it designed to do (and not do). With this learning, you can then identify some ways to adjust your modern environment to be one you were designed to thrive in, not just survive in. In doing so, you will find new levels of health (and happiness). 1) Eat a wide variety of foods, as hunter/gatherers did. 2) Seek heirloom and primitive varieties of foods where possible. 3) Eat more fiber-rich plants in raw form. 1) Sleep more and take naps. 4) Sleep on a hard bed? Female Jogger on Coleman Avunue in Morro Bay, CA 5-2-07 – Photo by Mike Baird http://bairdphotos.com. The noble thing might be to put other people’s needs ahead of oneself. Take care of your family. Take care of those less fortunate. Take care of everyone else first and then sit back and do something good for yourself. It’s altruistic to think this way. It’s how a good Samaritan would think and how we are taught to behave growing up, at least most of us. Take care of everyone else. That is what being a good person is all about. Unfortunately, this is all wrong thinking. The most important person on this planet is yourself. Without taking care of yourself first, how on Earth will you have the energy, strength and capacity to help anyone else? It took me a long time to realize this simple truth. Take care of yourself and you will be in a much better place to help others, whether that entails shoveling a neighbor’s sidewalk or taking care of a sick family member. You must come first! If we each are a priority to ourselves, where does health come into play? 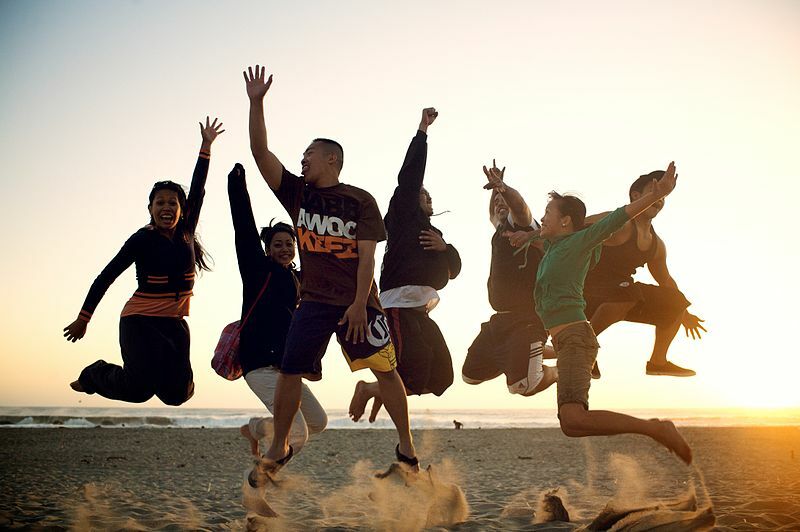 Without the energy and vitality and health to live fully every day, we show up as a diminished version of ourselves. Imagine going on a long road trip with only 1/8 tank of gas. How far will you get? Stay up all night and try to show up well for that big presentation at work. How successful will you be? Ignore your health and gain 50 pounds (I’ve done it!) and see how much motivation and capacity you have to work hard and make a difference in the world. You can’t help others when you don’t have the energy and health to help yourself. Help yourself first! It is nearly impossible to find an objective assessment of nutrition and diet plans. The list here showcases just a small portion of popular diets that have floated around. Each had staunch supporters claiming that it was the key to losing weight, getting fit and feeling great. This particular site has over 600 nutritionist reviewed diets. Can they all be right? Scam or no scam, the claims of these diet proponents – particularly when they vilify other diets in addition to pushing their views – are disingenuous. Online media has made it even worse. Nobody is reading the actual scientific research, and of those who are, few go beyond the abstracts (you have to pay to read scientific articles in full) and even fewer understand how to interpret what they read. Dr. Garth Davis tries to decipher misleading research to point people in a positive and healthy direction. 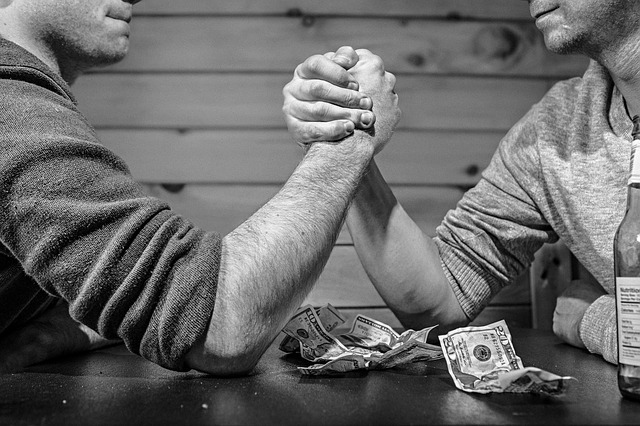 Photo from RichRoll.com. I was recently listening to a podcast of Rich Roll interviewing Dr. Garth Davis. Dr. Davis is a weight loss surgeon who runs a successful clinic helping morbidly obese people get their lives under control through diet, exercise and if need be – surgery. During this podcast, Dr. Davis points out that you can find or interpret any scientific article to prove whatever health oriented point you are looking to make. He also makes the sobering point that medical doctors go through virtually zero training in nutrition. When was the last time your doctor spent any time looking at your diet? Chances are they just prescribed you medication for whatever your ailment was. This has been my experience. Want to prove that wheat makes people fat? No problem! Want to prove that low-carb and high protein diets are the secret to weight loss? Sure, go ahead! Want to prove that high-carb and low-fat diets are the secret to health? Ok, that’s possible too! Much of the research done in any field, especially nutrition, and health, is backed by corporate interest groups with large financial stakes in reports favorably backing their points of view. Those that aren’t blatantly sponsored by corporate interests are skewed due to low sample size or selected analysis that end up skewing results or just not drawing strong conclusions. In other cases, people mislead with statistics. At the extreme, people blatantly lie with statistics to prove their point. For example the following statistics suggest that 16-year-olds are safer drivers than people in their twenties and that octogenarians are very safe. Is this true? Click here for the answer. An example of how statistics can be used to mislead (purposely or accidentally). 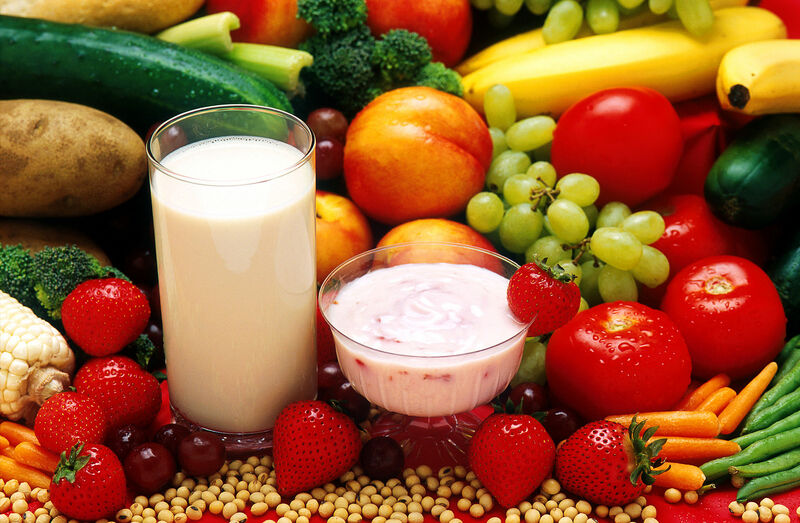 The vitamin and nutritional supplement industry alone is a $32 Billion USD industry (in 2012). Add to this the pharmaceutical industry that is worth over $300 Billion USD globally in sales per year and you have a large force tainting the research. This all assumes that we bother to look at the research at all. There are people out there just making stuff up and hoping people will listen and buy their products. Wether it’s Daniel Vitalis slinging deer antler velvet and bovine colostrum or David Wolfe pushing “Ormus Gold” or the numerous folks out there pushing “brain optimizing neutropics” to hard-driving students and professionals looking to get an edge on the competition – they all claim big results for their products. Are they right or are they taking advantage of our desire to get healthier and find a way out of our current level of dis-ease? These questionable supplements are not cheap. I recently tried Onnit “Alpha Brain”, a supposed brain/mental performance enhancer, and felt zero effect after 2 months and $80 worth of pills. Onnit claims they have done research proving the effectiveness of the product. Perhaps it just doesn’t work for me for some unique reason? Maybe I need to double my dosage? Maybe I’m already too smart for my own good 🙂 . 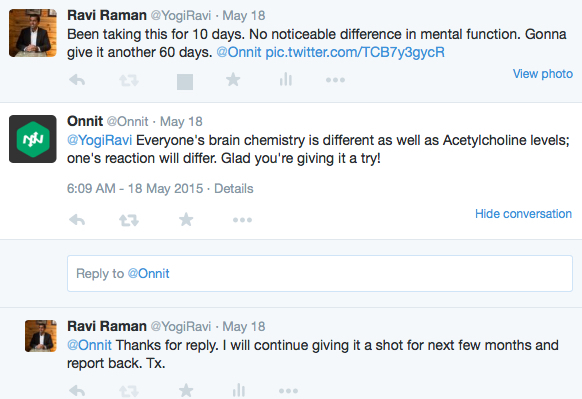 Below is the little twitter exchange I had with Onnit a few weeks into my experience. I continued taking Alpha Brain for several more weeks, with zero impact to my cognitive ability. A cup of strong tea or coffee does far more to improve my mental performance (and costs far less!). Onnit has some great products, but this particular one doesn’t do it for me. The way out of this madness of misinformation is to go back, way back, to where it all began with our species and understand the real story of the human body. I recently finished reading Daniel Lieberman’s “The Story Of The Human Body – Evolution, Health and Disease.” I head of Dr. Lieberman through Christopher McDougall’s best-seller “Born To Run” where Lieberman’s research on barefoot running was the basis for McDougall’s argument that we can run farther, faster and healthier by running like we were meant to run – barefoot! 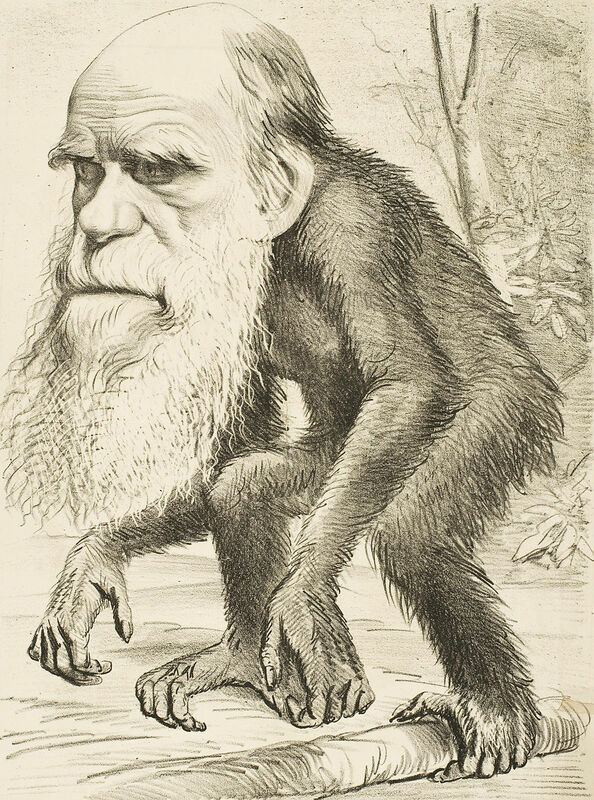 This book traces the history of our species from Ape to Modern Human and everything in between. It delves into the nitty-gritty of our evolving bones structure, DNA, dietary habits and brain capacity. The book is dense and reads more like a lightweight textbook than a storybook. For those fond of anatomy, nutrition and the basis for our current state of good health (we live longer than ever) and bad health (we suffer from more chronic illness than ever), you will love this book. 5 important points stood out to me. These points help me better understand what we are really meant to do to be healthy as a human. When the cacophony of talking heads, fancy supplements and diet gurus confuse me, it’s nice to go way back in time to understand what we were really built to do, and use that as a basis for building up some durable and lasting healthy habits. Source: Mark J. Sebastian: www.markjsebastian.com. All humans have virtually the same genetic code. Of the 3 billion base pairs in our human genome, you share over 99.9% in common with every other human on the planet. Not only that, we share 99% of the genetic makeup with Chimps and 98% with Gorillas! While we all have different cultural upbringings, likes and dislikes and medical conditions that need to be dealt with, the overall baseline prescription for health for human beings can be remarkably similar since we are all so similar to begin with from a genetic perspective! Humans inhabit virtually every corner of the globe. I just watched a crazy documentary on NetFlix, “Happy People”, about the Taiga people who hunt and trap for a living in the middle of Siberian winter! They are not just surviving, but thriving in this inhospitable environment. There are humans on all seven continents, in every possible type of environment. Physical adaptation has helped humans adjust and survive in radically different environments. For example, in hot climates humans grew longer legs with skinnier torso’s to support heat dissipation. In cold climates the opposite happened, as people were shorter and stockier to help conserve heat. While physical adaptations take countless generations to appear – our bodies tend to keep various adaptations over time, as backup systems just in case we need them. What if we hit an Ice Age and the hot climate of the tropics suddenly gets cooler? What if heavier rains change the types of plants that grow in a region? Our bodies have backup methods for processing foods and surviving in a variety of changing situations. Some are vestigial systems that no longer have any apparent use. Others are there in case of emergency. For example, while our brain runs on glucose, we can also burn ketones (or more appropriately, convert ketones to sugar for fuel) during times of starvation and keep our minds working OK (though if you have ever been carb-depleted, you know how bad this feels!). The point here is that we able to function and adapt in a wide-ranging set of environments and extreme situations. We can thank our genes for that next time we run into an Ice Age! Before the agricultural revolution, all of our ancestors were hunter-gathers. In this mode of life, we worked for several hours a day (though not as much as modern office workers work today!) gathering our sustenance. A typical modern hunter-gatherer walks around 6–9 miles to find what they need to eat for the day. Males tend to walk more (hunters) while females (gatherers and householders) tend to walk slightly less. The energetic cost of walking that much amounts to tens of thousands of calories per year. Converted into fat, this equates to over 30 pounds of fat that would be burned just in the process of gathering food to survive over the course of a year. Layer on top of that the thermogenic response to dealing with temperature variations without central heating and air conditioning, and you have a much higher rate of caloric burn than all but the most avid sportsman would experience today in the modern world. On top of this, we are in a unique position to enjoy virtually unlimited sources of calories available to us 24/7. 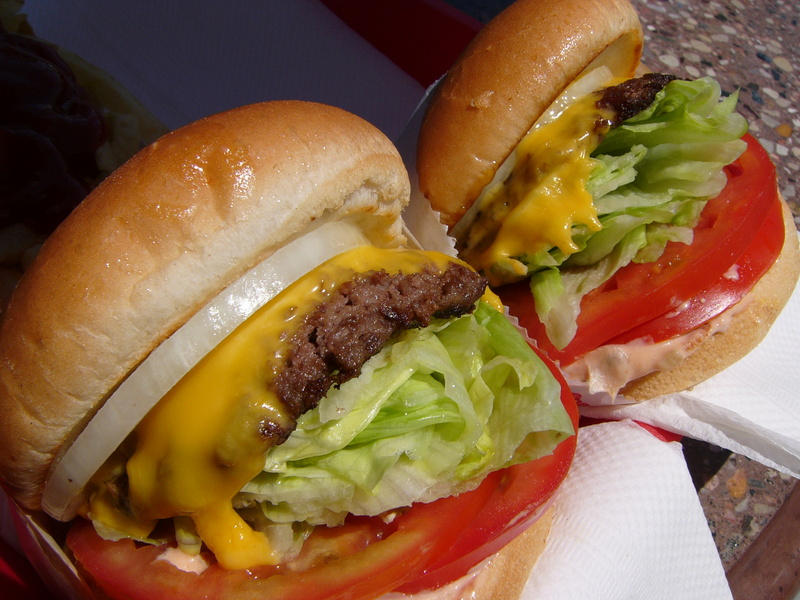 The temptation for late-night snacks and junk food splurges is often too great. Our ancestors never had these concerns, aside from, for example, the occasional sugar-rich bee-hive that might be found by a Kalahari Bushman while out on the hunt for some wild game or tubers to eat. I might add, that our ancestors slept a lot more than most of us do. Electricity and industry have been a great convenience to us, but it keeps us working longer hours, and up late into the night watching TV. Lieberman points out in his book that the typical Hadza hunter-gatherer wakes up at dawn (around 6:30–7am), enjoys a two-hour nap during the heat of the afternoon and goes to bed around 9 pm at the latest. This is the way humans lived for hundreds of thousands of years. It’s only in modern times that 7 hours of sleep has become the norm! Our lack of activity, lack of sleep and plethora of convenient calories is slowly killing us, and killing the quality of our otherwise long lives. Soft beds and cushy running shoes. If they feel good, they must be good for you, right? This is not the case. Our ancestors didn’t sleep in fancy beds, like I do. I sleep on a “Kluft” organic latex and wool bed. It retails for $12,000 and is so soft I feel like I am floating in outer space when I sleep each night. There is nothing natural about this. People in many other cultures today sleep on very hard surfaces. I know when I visit my family in India I am amazed at how hard their beds are. This is practical as hard beds are cheaper and don’t harbor bugs, smells or humidity that tend to be especially problematic in tropical climates. It’s also better for you. Soft beds tend to cause back problems for many people. They feel good but are not so good for you! Shoes are another issue. The modern shoe, with it’s tall and highly cushioned heel, arch support and tapered toe-box; severely limits the natural function of dozens of bones and ligaments in your foot. Runners in cushioned shoes tend to “heel-strike” sending shock waves up their bodies and wreaking havoc on joints over time. Runners who are barefoot (or wearing minimal shoes) tend to land in their mid to fore-foot. This is a much less impactful and jarring way to land. 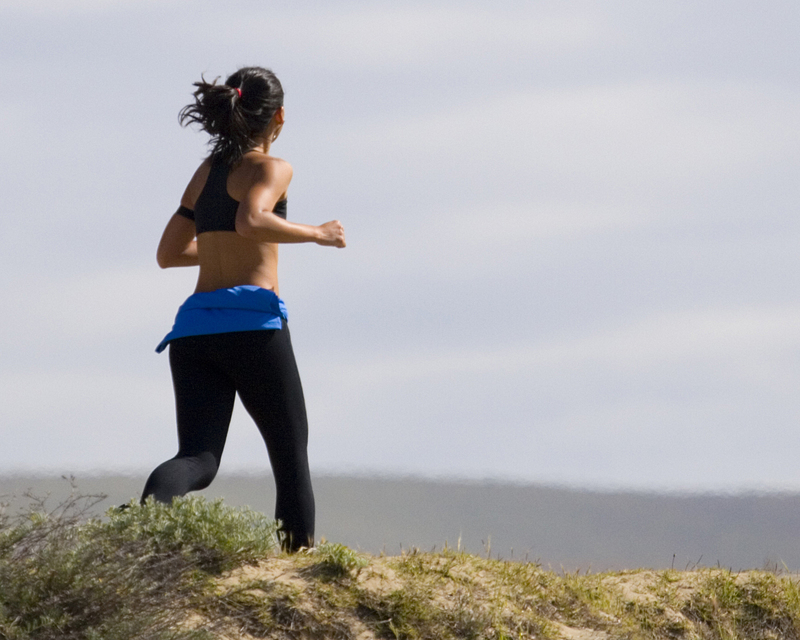 The book “Born To Run” popularized this idea of minimalist running, and for good reason. Source: Lieberman Barefoot Running Study. Image from Birthdayshoes.com. This book demonstrates to me that there is no single perfect diet. Humans survive all over the place, on all kinds of diets. They have done so or the past few million years. Ancestral humans in the far north have subsisted on seals and whale blubber (rich in Vitamin D). People near the tropics have lived on mostly fruits with nuts, herbs, and seeds. People in living in the ancient African savanna subsisted on tubers, leaves, plant stems and the occasional cache of honey with wild game if they were brave enough to try catching it. There is no ideal ancestral diet. Even more confusing, our bodies contain numerous methods and pathways for working in different times of stress depending what foods are/aren’t available depending on climate (are we in an ice age?) and location (are we in a grassland or a jungle?). We all contain multiple and redundant methods of keeping our bodies alive. This explains why multiple types of modern diets can be shown to “work”. Our bodies work in varied ways! We have many fallback biological systems that allow us to survive on various types of foods. In ancient times, early humans had to adapt from fruit-rich diets to lower quality diets of leaves and plant stems as the earth became cooler (we are talking 5.3 to 2.6 million years ago during the Pliocene era) and jungles shrank in size. Our ancestors still survived, and did well enough that they were able to reproduce, and now we are here! We can be raw (though the book makes it clear that cooking certain food enhances their bio-availability). We can be anything in between. We can live on mostly fruit. We can live on tubers, nuts and seeds. We can live on meat. Our bodies can burn fat for fuel or carbs for fuel. Our bodies can also store excess calories as fat to help us get through a famine (or just survive a skipped meal at work!). The debate over our optimal human diet is a red herring. We can eat any number of diets. The question of optimal comes down to a few questions: What makes you healthy over the long-term? What is best for the environment? What is best for all beings on the planet? What can you sustain? You need to answer these questions for yourself. One thing I can say is that our ancestry leaves clues around the general types of foods and behaviors that are good for us. I’ll comment on these things in the next section of this post. Source: Peggy Greb, USDA ARS – This image was released by the Agricultural Research Service, the research agency of the United States Department of Agriculture. This includes exploring new fruits, herbs, and vegetables that wouldn’t normally be a part of my diet. Even in small quantities, various herbs and plants contain important nutrition. I embrace foods that taste “unique” but not particularly good, like strongly pungent herbs (like fresh cilantro) and bitter vegetables (like “karela” or bitter gourd). The fruits and veggies our ancestors ate were radically different from the ones we eat today. For example, the apples of a hundred thousand years ago were about as sweet as a carrot and slightly bitter (like a crab-apple). Grains were also much tougher and not as starchy. For example, ancient corn typically had only a few kernels on an entire stalk, and they easily wold fall away from the plant when pulled. Today, you can find ears of corn the size of your forearm! This doesn’t mean modern foods are bad, but instead that you should try to seek out heirloom varieties when you can. For example, try Spelt instead of wheat or eat and see if local farmers markets carry old-school varieties of apples and fruits. They may not be as sweet as your “Honeycrisp” apples, but they will be better for you in the long run! Our jaws were designed to chew, chew, chew our food! Vegetables and fruits today are hybridized for sweetness and taste. Ancient veggies were packed with tough fiber, and this fiber plays a role in both slowing down digestion (so we can absorb more nutrition) and also speeding up elimination (to eliminate waste properly). Fiber also creates stronger jaws and healthier teeth. I’ve found myself eating mostly cooked food nowadays (aside for my regular big salad dinner meals). I’m going to make it a point to munch on more fresh raw veggies. Lastly, there has been substantial scientific research on the benefits of eating larger quantities of fiber as part of a diet. This is something that both paelo and vegan believers can both agree on! Hunter-gatherers ate closer to 100 grams of fiber a day, most people today are lucky to get 15 grams a day! Source: Andreas Lederer. 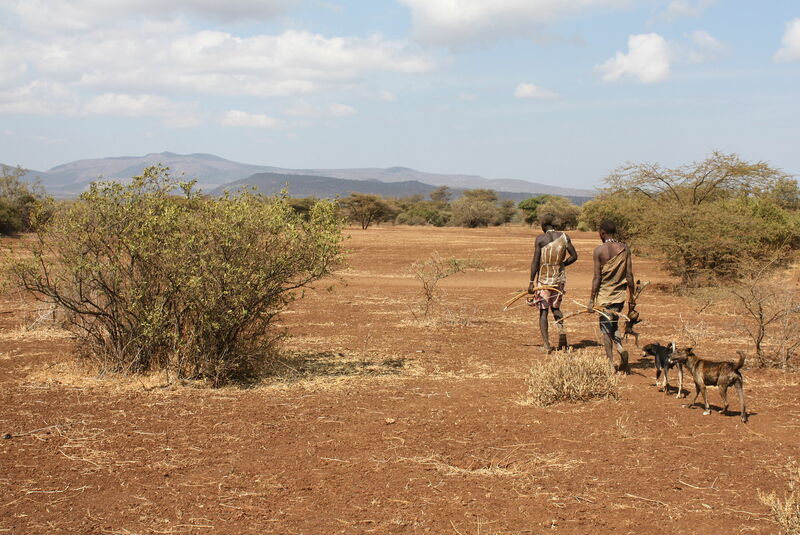 Two Hadza men return from a hunt. The Hadza are one of the few contemporary African societies that live primarily by foraging. The average person in America sleeps 6.8 hours per night. In hunter-gatherer times, they would sleep 10 hours per night in addition to a multi-hour nap during the afternoon. I don’t plan on sleeping for 10 hours, but I do want to continue my existing habit of going to bed by 10 pm and waking up at 6 am or earlier, along with a 20 minute afternoon nap. Hunter gathers walked 6–10 miles per day just going about their business to gather food and water to survive. Much of this walking was on varied terrain (they didn’t have flat sidewalks back then!). Most of us hardly have the time to squeeze in 30-minute exercise sometime during the day. My main lesson from the book is to move more, even walking where possible instead of driving. It is what our bodies are designed to do. Running barefoot is not practical for modern humans and the reality is that humans have been wearing shoes for at least 10,000 years (the earliest sandals were made from twine and wrapped around the ankle and bottom of the foot). I spent time with Barefoot Ted when I lived in Seattle, and also ran with the Tarahumara during the Copper Canyon Ultramarathon. What I learned from them is that footwear should primarily be used for protection from sharp rocks and debris, not to provide cushion. While I love running in my Brooks Cascadia trail shoes, I also walk around barefoot a lot and will make it a point to wear my minimal shoes (I have several pairs of thin-soled shoes with wide toe-boxes) as much as possible. I will continue to do so, and as I get in better shape, will transition to a more minimal pair of shoes for running as well. I’ve heard good things about Altra Footwear. I’m not doing this one…I love my Kluft Mattress! Though, if you have back problems you might want to think about it. I will get my “firm bed” fix while backpacking and sleeping on a Therma-Rest. We can learn a lot from our ancestors. Given the massive amount of time it takes for physical change to show up based on environmental stress, we should all assume that our bodies were NOT designed to live in the modern world. That said, we do need to get along in the world as it exists today. This is the society we are a part of. The way to live and thrive in modern society is to understand the ways in which we were uniquely designed to operate as human beings, and do our best to operate in that way within our current modern context. By making some tweaks to what we eat and how we move about the world, we can find higher levels of health and happiness. For me, this means eating lots of fiber and nutrient rich plants, running and walking a bunch every day, and getting plenty of sleep!